As the title says I'm an amateur and I don't know what I don't know so please criticize away, as long as I can glean something constructive out of it. 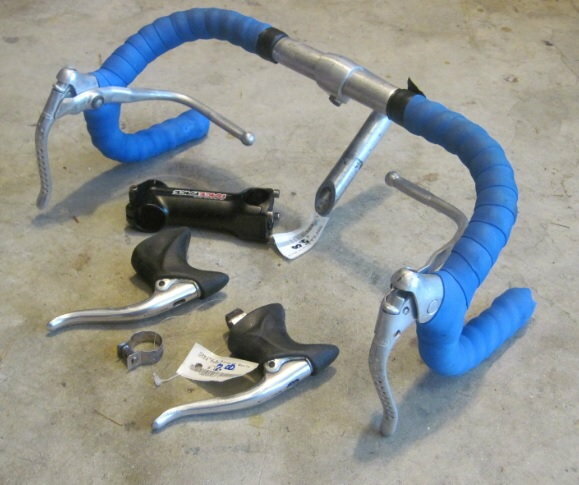 I was at the LBS today picking up a tube for my road bike, and some used parts caught my eye. $19 for the quill stem, bars, and the brake levers. 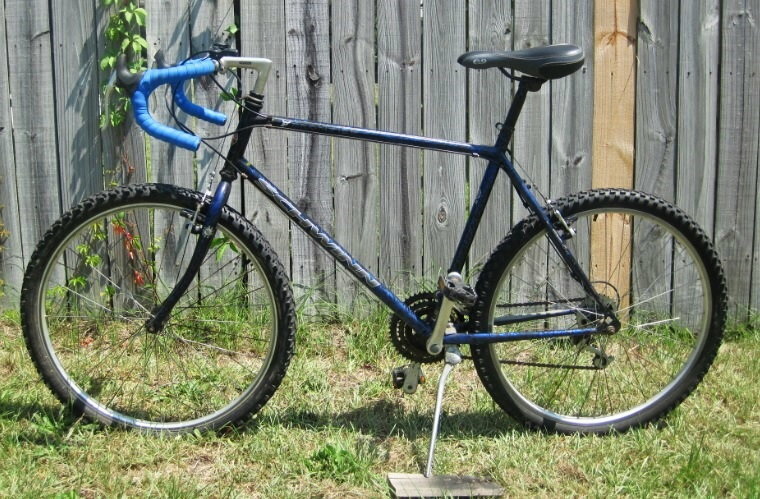 I've been wanting to put drop bars on my 1995 Schwinn Frontier (mountain bike? rigid? hybrid?) and at that cost I can tinker and learn how it's all supposed to work together. Here's my victim (brakes torn apart for mtce). 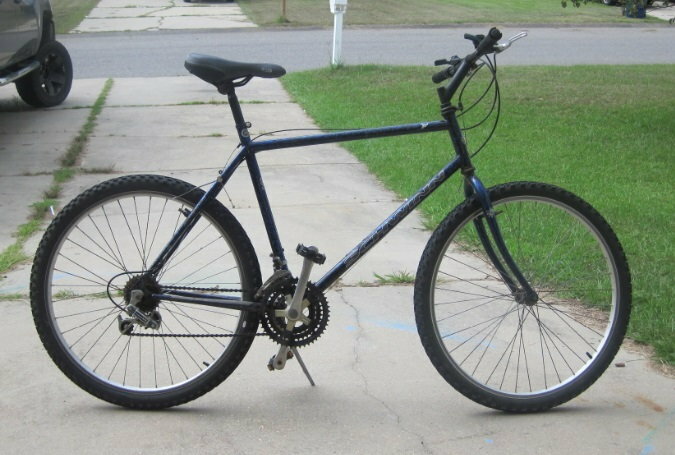 It's a walmart bike and it's spent 90% of its life on road when I was in my teens & early 20's. However that was before I got my Specialized Allez for the road. Now I'm so used to the road bike that I just can't handle the upright position and flat bars, and "gravel bikes" or rigid mountain bikes with drop bars have been calling out to me. The ergonomics feel great on the road but as soon as I took it into the yard and tried to ride a wheelie, it became immediately clear they're way too narrow (385 mm center to center) (my Allez bars are ~430mm wide which feels great). 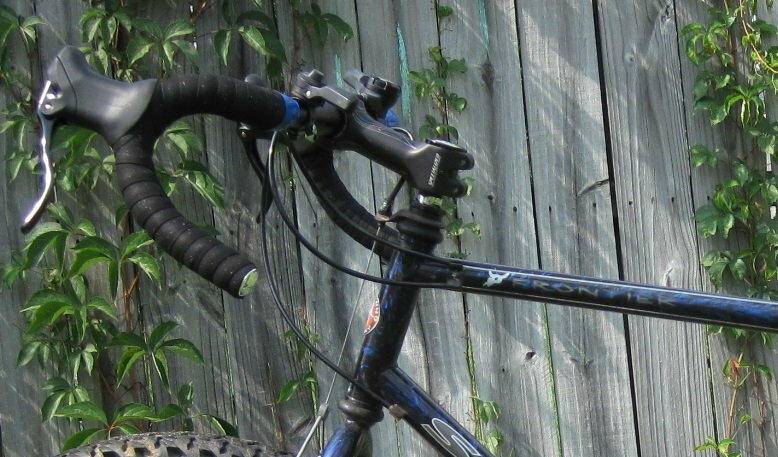 I really like the flared-out drop bars which I guess are called "dirt drop bars". They all look really similar so I'm thinking about finding an ebay or amazon special unless anyone has a better recommendation. I'm wanting to get a threadless stem adapter so I can change out the stem/bars easily. I want to stick with the thumb shifters for simplicity, I want this bike to stay cheap and stupid simple. It's an old cheap bike and not worth dumping much money into. Not sure what to do for brake levers, I have these BRS 300s but one of the springs is missing and I don't know if they'd work with modern bars. I was thinking about some amazon drop bar levers (tektro or upan) but I'm still trying to figure out the difference between long pull and short pull and how they can or can't work together. The bike has cantilever brakes which I'll be keeping. Any advice? 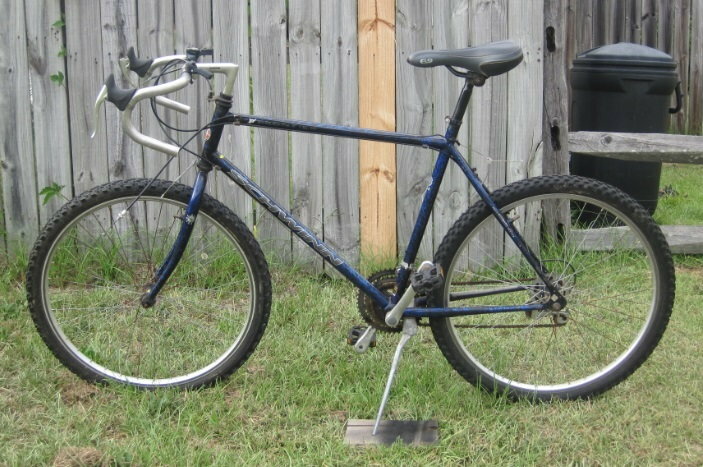 I anticipate someone will tell me to scrap it and buy a thousand dollar bike that I don't need and can't afford. Sort of. It's low-end, but on the boundary of being an actual bike rather than a bike-shaped object. Kind of like a Trek 820 today. Massively better build quality than the things that go for $100 nowadays. 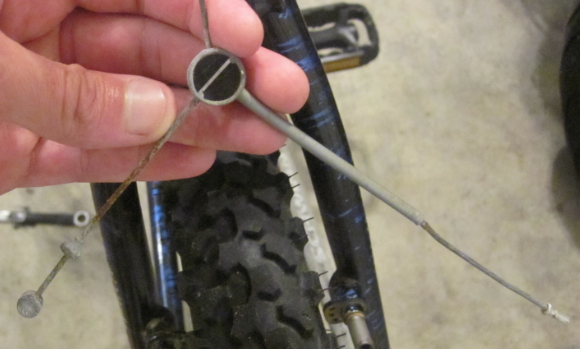 Lack of return spring can be a problem if the cable routing has tight bends that introduce a lot of cable friction. Back in the days of non-aero brake levers, when the housing wasn't routed along the handlebar, brake levers generally didn't have return springs, and it worked fine. You could maybe just try it. If it doesn't work nicely, then... well, you won't have wrapped your handlebar tape yet. and I don't know if they'd work with modern bars. They should. The outer diameter of road handlebars hasn't changed over the years; the new bars only look thicker because modern bar tape is thicker. There are some fixie drop handlebars out there that use the same outer diameter as MTB handlebars, instead of that of normal road handlebars, but it's hard to end up with one of those on accident. but I'm still trying to figure out the difference between long pull and short pull and how they can or can't work together. The bike has cantilever brakes which I'll be keeping. 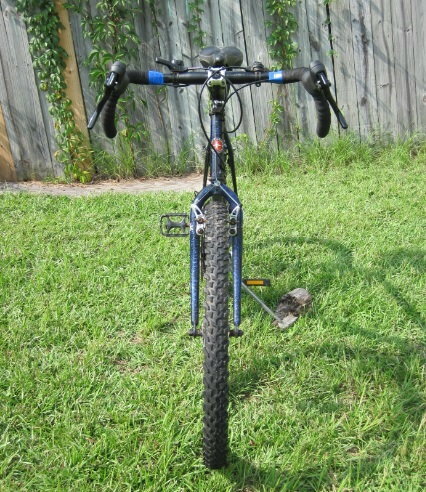 Long-pull is used for full-size v-brakes and MTB mechanical discs. Short-pull is used for pretty much everything else. If you're running cantis, you want short-pull. That's a lot of good info and good to hear. Thanks! I was thinking about opening them up and trying to find a somewhat similar spring that could be rigged to work. However, I'm not sure how the levers come out of the housing. It looks like the pivot pin uses a rivet on one side, I'm guessing you drill it out but I'm not sure how the opposing side of the pivot pin is retained or if it just falls out when you drill the rivet. The Tektro brake levers are decent, and I've use them on single speed road builds. My favorites (that are still in the not-insanely-expensive category) are SRAM S500, but they're probably a bit more pricey than you want. Anyway, it looks like a fun project! Nothing wrong with tinkering with a solid 90s Schwinn - they're not fantastic bikes, but you could do a lot worse. Tektro rl340. They are the short pull brake lever that you need. $22 on amazon free shop and return. No risk. the lever is rebranded under probably 6 different names. as for drop bars- flared bars are great and I use them, but they are an acquired taste and the varying versions are significantly different in reach, drop, and flare. Just be aware. My new SRAM Rival levers don't have return springs either, and i'm running full length housing with disc brakes - works great! With decent teflon lined housing I don't think it's a problem anymore. 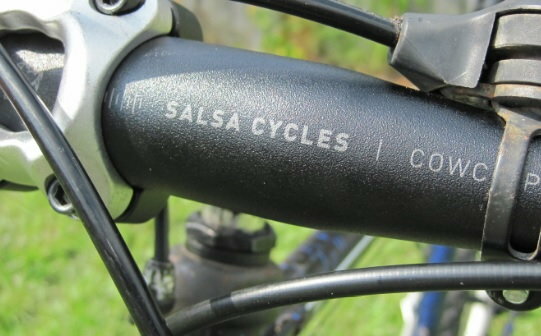 For mtb gears, or even mtb/road mix up to 9 speed, you can always go with bar end shifters. Will looks a little more road traditional, typically are pretty cheap, very reliable, and will make it a tad easier to wrap your bars. We've used the threaded to threadless converters on a couple of older bikes, they work just fine. You can find them ebay for less than $15, can get a little more height (if that's important to you) if you get the one from velo orange, or soma fabrications. Most of the ebay versions run somewhat short. I've never used bar end shifters, but I do occasionally bump my legs into my bar ends on my road bike while out of the saddle during very low speed tight maneuvers like weaving through cars. I imagine, once I get off road this would happen even more often. So I think I'll stick with the thumb shifters. to spread out the yoke angle will increase braking power. Any experience or thought with a wider straddle setup like this? I don't like the awkward adjustment setup on the stock piece, if nothing else I want to get rid of it just because an aftermarket part looks easier to adjust/equalize. I cleaned, lubed, and rigged up the brakes using the old crusty cables and it works well enough for 23 year old parts. Even without the return spring in the right lever. And re-wrapped with the old bar tape. Been riding it around, I'd still like to do some some real dirt drop bars on a threadless stem adapter but this will work for goofing off for awhile. And it only cost $19! I'd never adjusted cantilevers before, they're a PITA! This bike just got awesome! Nashbar stem adapter, Specialized stem from ebay, and Tektro RL340s. Total cost was around $115. That raises the bluebook value to... $150!!! Thanks for the earlier replies guys, you helped a lot! The cowchippers are super comfy in the drops, hook, and hoods. I need to go log some miles now! wow, that is awesome. Cowchippers are a grate choice. How is your reach? For people that normally ride on the hoods or in the drops, the stem length normally has to be reduced. I have a friend who did this with a negative stem (yes, the short stem points backwards toward the seat). That is a bit extreme, and I doubt it works well on the tops of the bars! Looks like you have a new bike for just over a hundred bucks! Nice! Similar to what I'm attempting to do with an old Trek 520 touring frame. It's nice to know someone else has done it. How is your reach? ......! The distance from seat to bars is just about 1/4" longer than my road bike, but the bars are also a little higher.